DAVID LE/Staff photo. 2/11/15. 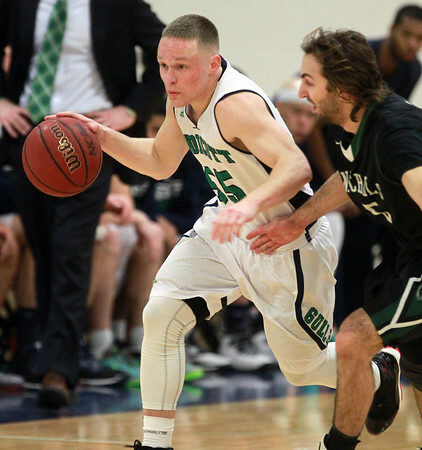 Endicott College sophomore guard Max Motroni (55) drives the ball up court and past Nichols guard Jared Thompson (5).